Product #16710 | SKU F112 | 0.0 (no ratings yet) Thanks for your rating! 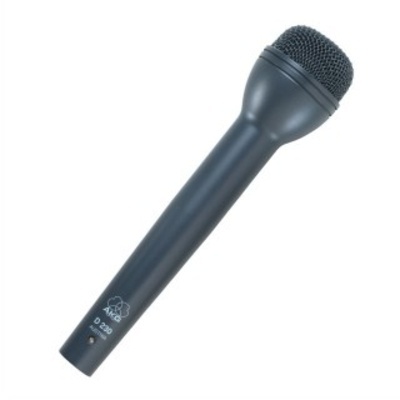 The Sony F112 is a professional, omnidirectional microphone designed for Electronic New Gathering (ENG) applications. The F112's frequency response and sensitivity are optimised for accurate reproduction of vocals, accentuating the range that enhances clarity while reducing residual noise. The omnidirectional pattern results in minimal noise from wind, with even signal reproduction at the sides and direct sections of the capsule. This is particularly useful while vying for the best possible microphone placement in awkward, crowded environments. The extra-long shaft allows plenty of room for radio and TV flags, and the rugged enclosure is durable enough to withstand frequent use on location. The F112 delivers a high sensitivity of -54 dB (0 dB=1 V/Pa. ), allowing clear voice pickup from any direction. The F112 has a flat-and-wide frequency response (60 Hz to 17 kHz), which provides smooth and natural sound reproduction. The omnidirectional polar pattern maintains an even frequency response at off-axis and direct sections of the microphone capsule. The body is made of metal, offering a high level of durability to withstand severe conditions encountered in demanding sound pickup scenarios.